Aspect Unified IP Contact Center is a platform that enables users to manage their lead and customer interactions through email, voice, chat, IM, SMS, and social channels. It also has multi-session contact handling features. In this article, we cover user reviews. Ready to try Aspect Unified IP Contact Center? Contact their support team for more information. Users who gave Aspect Unified IP Contact Center a positive review appreciate that the software has an easy-to-use and reliable interface, as well as seamless integrations with other applications. Others like the software’s intuitive and robust features that address their business needs. One user who gave Aspect Unified IP Contact Center a positive review on Capterra commended the software’s ease of use, which enables individuals with minimal Aspect background to operate its basic system functions even without ample training. He also added that they find the software powerful and adaptive to their specific needs. As of the date this article was written (11/06/18), there are no up-to-date negative reviews of Aspect Unified IP Contact Center available online. If you are a past or current Aspect Unified IP Contact Center customer, leave a review to help other business owners who are deciding whether or not to use the software. Aspect Unified IP Contact Center pricing is not readily available on its website. Prices for similar providers have monthly fees that cost around $11 to $24 per month. Most similar software have custom pricing options that depend on the capabilities and the level of support included in their subscriptions. Ready to try out Aspect Unified IP Contact Center? Contact their support team for more information. How can users integrate their CRM with Aspect Unified IP Contact Center? 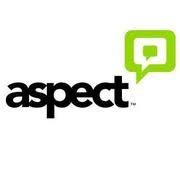 Users need to use The Aspect CRM Connectors solution to enable a desktop integration between Aspect Unified IP Contact Center and selected CRM applications, such as Oracle Siebel (release 7.x, 8.x, and higher), PeopleSoft (current release), Salesforce (current release), and SAP (release 7.x Enterprise and higher). Can users match their callers to their agents? Yes. Users can use The Afiniti Connector, which improves the software’s call routing capabilities by matching their callers with their agents by using behavioral and customer preference-based intelligent pairings. Not sure if Aspect Unified IP Contact Center is the right fit for you? Read our reviews of all top call tracking software providers or check out one of these three Aspect Unified IP Contact Center competitors.